Website monitoring tools facilitate the monitoring and tracking of website performance. This enables users to identify and solve any performance issues that may arise, as well as track changes in the website’s function and display. These solutions also include performance metrics tracking, offering specific insights into the statistics such as interactions processed or the response time. Website monitoring products form a baseline for these metrics and monitor the applications for any variance from the baseline. The metrics are displayed in a variety of data visualizations for easy conceptualization. They are used by website administrators to manage websites and discover possible reasons for delays in response time. With the ability to identify and fix any performance issues, businesses can provide an optimal user experience. Website Monitoring reviews by real, verified users. Find unbiased ratings on user satisfaction, features, and price based on the most reviews available anywhere. Pingdom is a website performance and availability monitoring tool. Ghost Inspector is an automated browser testing service that allow you to monitor and test your websites using real browsers from the cloud. We offer a cohesive solution for easily creating, recording, managing and running your tests. Review detailed test results and get notified when failures occur. Ensure that your websites and applications are working as expected by testing them end-to-end from a user's perspective in the browser. Website firewall, uptime monitoring and domain reputation checks on a single dashboard. Perfect for digital agencies, freelancers and for website owners to keep the sites secured from attacks. AppBeat is tool for monitoring websites, online services and servers. It tracks uptime and response times. If outage is detected automatic notifications are sent to owner(s). AppBeat offers also free public status page and module for communicating scheduled maintenance. Better Statuspage in 1-click, Free forever. Create your hosted branded status page in 1-click and communicate your system status (and incidents and maintenances) in realtime with your customers. Freshstatus enables businesses to - Keep customers posted about status of any incident in real time - showcase reliability & high availability percentage of websites, servers, APIs etc - keep all internal stakeholders like support teams, website teams updated about system statuses & outages - get insights and analytics from the incidents like how frequently outages happen & how is the mean time to resolve incidents improving over time etc. Freshstatus allows you to setup unlimited services, incidents and maintenance updates and lets you have up to 250 subscribers, 5 users & unlimited internal team members. Companies use Dotcom-Monitor® web monitoring services to constantly improve their server uptime, page speed, and web application functionality. Since 1998, over 25,000 companies have optimized their online ROI by using website monitoring to precisely monitor, alert, and report on website speed, web application performance, and server issues. Monitoring websites for their uptime and key functions. Uptrends provides Cloud-based website performance monitoring. AlertBot provides website performance monitoring. CloudRadar is a complete, yet radically simplified and affordable SaaS monitoring solution for System Admins and IT Managers. CloudRadar helps organisations monitor their IT infrastructure with a next-gen monitoring solution focusing on critical performance and availability metrics, coupled with a reliable and dependable alerting engine with smart presets that is instantly activated. - Monitor your entire infrastructure : servers, networks, websites from anywhere. - Deep insights into your office, remote or cloud resources across the stack. - Fast setup : guided configuration, complete alerting engine and smart alert defaults - One unified, uncluttered, modern interface to monitor the entire infrastructure - The most affordable and innovative pricing structure with a true pay-as-you-go model. - Free trial allows for full testing and evaluation. Website downtime alerts & monitoring. Email & SMS alerts if website goes down. Graphite is an enterprise-ready monitoring tool, used to track the performance of websites, apps, business services and networked servers. PingStack alerts you when your website goes down before your customers do. WebSitePulse is a leading provider of advanced, independent and remote website and server monitoring services that enable clients to increase the efficiency of their mission-critical e-business operations, and to reduce their risk of failed Internet transactions and loss of revenue. AdminLabs provides powerful monitoring and communication services for your business. Agentless Monitor is a website monitoring software which uses existing services available on the device to remotely monitor variety of servers. Agent Slug is a website uptime monitoring tool with full content check possibility (scan of your whole website). Free tier included. Aotol Page Monitor is a website monitoring software that detects page changes, highlighting new content and alerting. Avospy offers website monitoring, instant alerts, SEO analyzer, spying competition to get precise statistics about error on the website. BinaryCanary offers website uptime and server monitoring solutions. Blit is a monitoring software for websites, that take screenshots of websites periodically. Track performance, errors, and Lighthouse scores for your production site and in CI. Access the data you need to fix problems. Gear5 is an easy-to-use, website-performance monitoring system that will give you comprehensive and understandable performance information to help you speed up your website. HTTPulse helps to monitor websites and detect problems like downtime, response time problems, broken links. 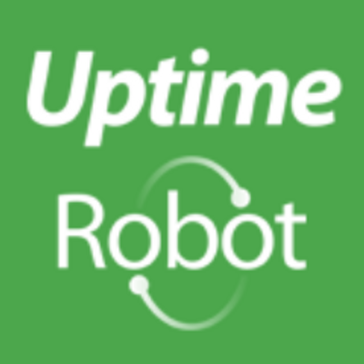 Monitority is a website uptime monitoring solution. MonitorMyWeb is a global performance monitoring solution for websites and servers. Observu offers website, server and API monitoring solutions. PINGuana is a website uptime status monitoring tool. Radar Website Monitor is a multithreaded website monitoring software that keeps a close and constant watch over your website. Server Density offers unique SaaS-based scalable infrastructure monitoring to help businesses save time and money. With advanced server and website monitoring alerts, graphing tools and integrations with all major cloud service providers, Server Densitys robust and scalable solution helps businesses and IT operations teams be more responsive to issues, make their websites faster and minimise downtime. SiteDownAlert is a websites and servers monitoring service provider. Sken.io mobile application is the most advanced tool for monitoring changes on websites. Creating responsive simple & effective website monitoring tool for marketing agencies, eCommerce sites and everyday website owners. StayLive is a service to enable website owners to receive escalating alerts when their sites are down, and also monitors external factors that can affect your site's health and reputation. Hi there! Can I help you find the best Website Monitoring solutions?